Lentils are excellent source of protein, specially in vegetarian diet. So, we cook dhal curry everyday and have it with rice for lunch. This is the side dish which I cooked first, when I started cooking :) Not only me but most of my friends also cooked this curry as their very first food. This is a very easy recipe and you won't fail even if you don't know anything about cooking. So, if you are a beginner to cooking, this is the best recipe to start with. 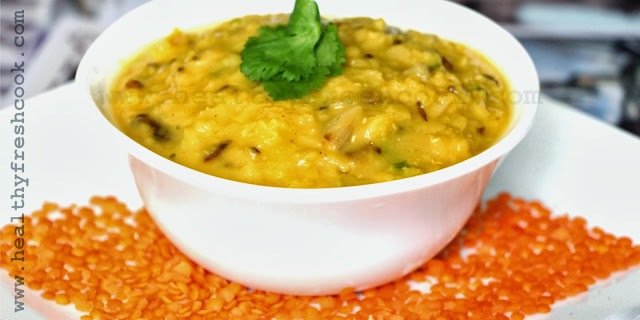 This dhal curry will go well with rice, bread, roti, puttu or with most of the main dishes. Even though in this recipe I have included the amount of water needed, use this as a guidance only. My family memebers like fluffy (dry) upma. If you like gooey upma then add more water. 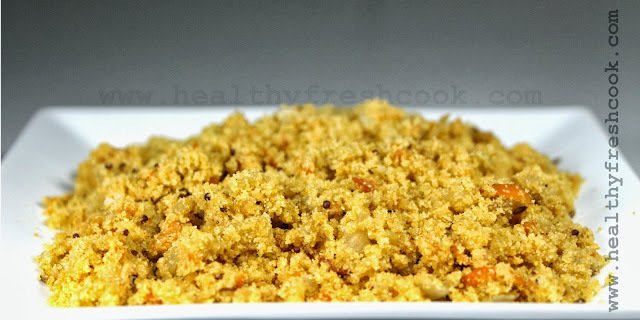 For me the most time consuming part in preparing "Upma" is roasting the semolina (rava/sooji). So, I used to roast large amount of semolina and store that in an airtight container to quickly prepare "Upma" for breakfast during weekdays. Roasted semolina has more shelf life than raw semolina and also roasting will prevent worm or insects growing in semolina. Everybody loves smoothies/juices. But most people pay more for their favorite smoothie and buy it from juice bars. I always prefer home made smoothies. They are cheaper, healthier, more hygienic and very easy to make according to our preferences. Today I thought to share a carrot & Orange smoothie recipe with you all. This is one of the most favorite smoothies of my husband :). You do not need to have any special equipment to prepare this. You can use a normal blender/grinder to make this delicious smoothie to chill you during hot summer. In my first post I introduced a Tofu dish. 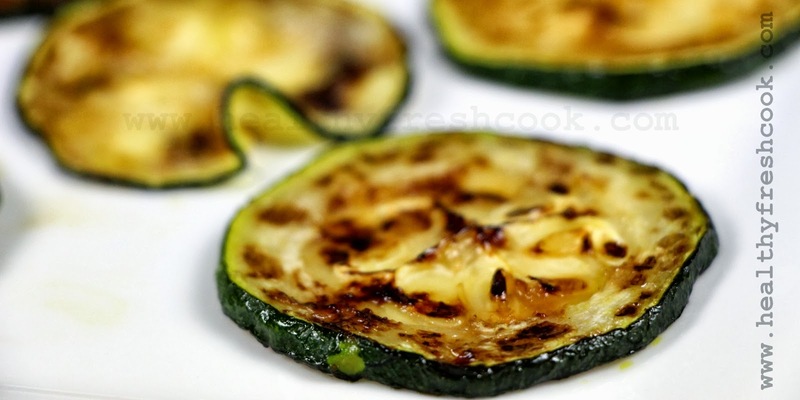 Today I thought to share a Zucchini dish. The Zucchini is a vegetable, which belongs to squash family (pumpkin also belongs to squash family). 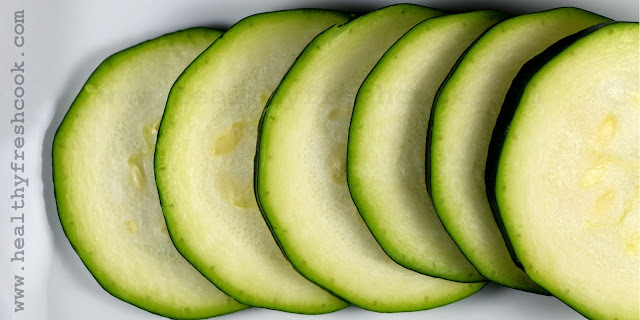 It looks like cucumber but unlike cucumber, zucchini is usually served cooked. This is a very quick and easy recipe :) I learnt this recipe from one of my friends.